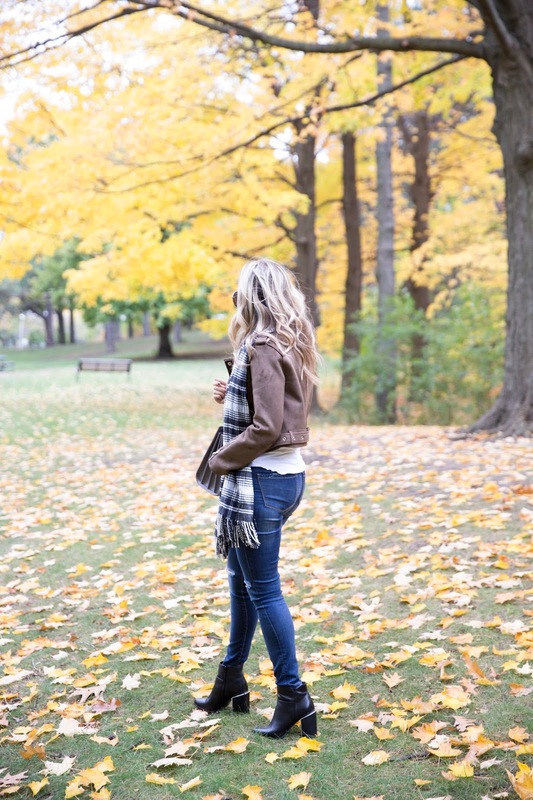 Soaking up those perfect fall days where you can scrape by in a light jacket and scarf because it will be all too soon before we're bundled up in hats, scarves, gloves and down-filled parkas. I actually scored this faux-suede moto jacket from Zara last week but for those looking for the real thing, this Blank NYC jacket is one I've had my eye on since last season. Also, if you follow on Instagram stories or Snapchat, you've probably noticed my recent obsession with Quay sunglasses. Real talk: I have a HUGE head. Any glasses less than 50mm width are almost swallowed up on my face so finding a brand where most styles are 50-52mm+ is a dream come true. Oh and most pairs are between $60-70 - score! I'm actually eying this pair next! Rocking casual outfit, you did great job styling it! Can you tell is what your nail color is, please? Love this. Especially the boots! Love this! So classic fall. 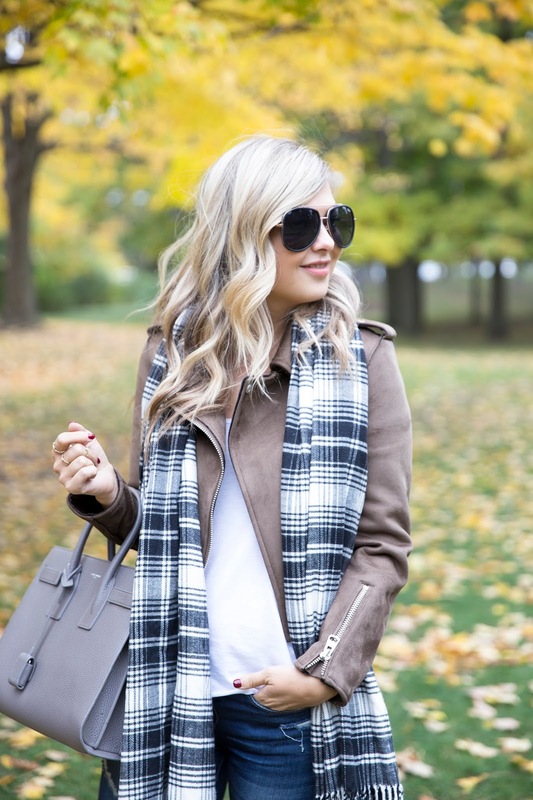 I'm obsessed with your moto jacket! I love this jacket! I really like the zipper on the sleeve detail. I've become obsessed with Quay too and that price point!